The new Star Wars trilogy — it’s been criticized by professionals and fanboys alike. The old argument “George Lucas ruined my childhood” is a common one when the new trilogy is brought up. But whether you love the new movies or not nobody can deny that at least one great thing came out of them: podracing. 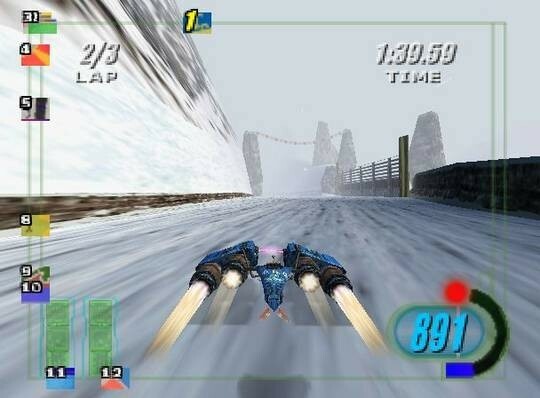 In 1999 Star Wars: Episode I Racer was released alongside The Phantom Menace. It was a commercial success, and sprung up additional titles. Racer Arcade was released in arcades the following year and featured two podracer throttle controls. It was visually stunning and brought a visceral experience to the series. Two years later Racer Revenge was released for the PlayStation 2. All three were amazing games that felt ahead of their time. 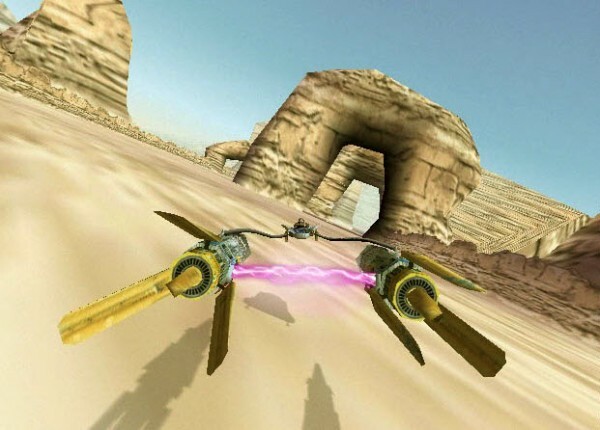 Now it’s time for an adaptation of Episode I Racer to arrive on Xbox Live Arcade, and we suppose PlayStation Network too, as Star Wars Podracer Arcade. Sensible HD makeover – There’s no better example of a mostly vanilla HD makeover than the recently announced Halo: Combat Evolved Anniversary. The game is quite literally a new graphics engine over the top of the original game code. There are no re-imaginings, just a straight visual update with a handful of minor gameplay embellishments. Strong multiplayer – Probably the weakest point of the original games was the multiplayer, which had framerate issues on consoles and had no internet play on PC. This time around it needs more than just splitscreen, more than just online over Xbox Live. It needs both in combination, a la Hydro Thunder Hurricane. 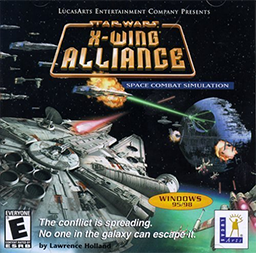 While Podracer Arcade wouldn’t have much variety in multiplayer gametypes hosts could still be given options as to the number of AI, whether to run a multi-race championship, to restrict certain podracers, etc. Create-a-podracer – Everyone one loves create-a features in games. People want to personalize their game. The ability to earn money to buy podracer parts, paint, and decals would quench that thirst for personalization. And so long as we’re throwing create-a-podracer we should probably throw in create-a-pilot. Give us eight or so species, male and female, and a handful of racing outfits. It doesn’t need to be robust, just fun. 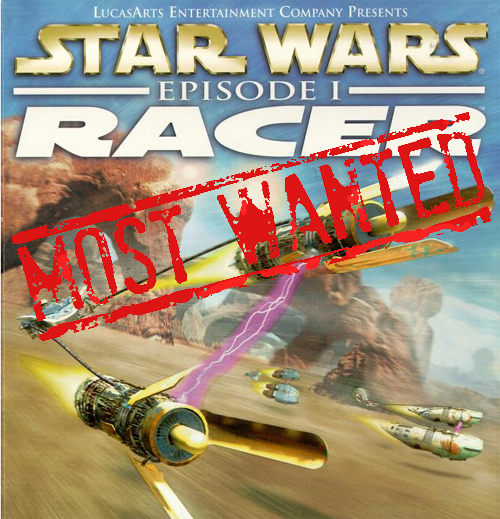 Old-school gameplay – The physics in Episode I Racer are more than enough, even by today’s standards. The beauty of the original physics and gameplay engine is that, since we’re not dealing with wheels or accurate collision, doesn’t need a revamp. That’s a double whammy since it gives folks classic gameplay and keeps production costs down for the developers. Watto – We still fondly remember sitting in Watto’s shop and letting the controller sit just to hear all of his one liners. That coupled with his humming the Star Wars cantina tune from Episode IV brought a smile to our face every time. 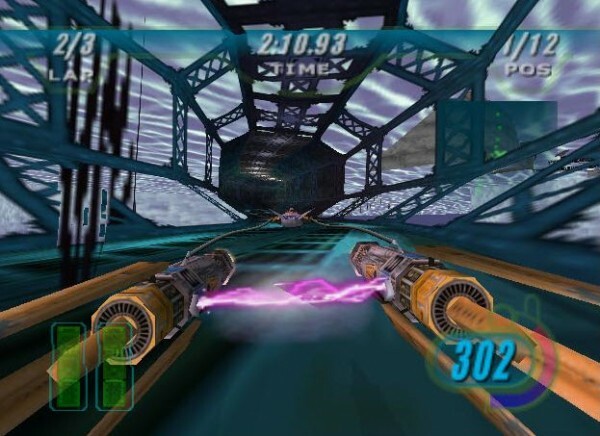 The original tracks from Racer and Racer Revenge – To maximize the gameplay experience, HD remakes of tracks from both console games could be combined together into one package. They’re incredible tracks and would extend gameplay drastically. Star Wars: Episode I Racer and its sequels have all been well received, but aside from bits in trailers for Kinect Star Wars the podracing experience hasn’t been in any games in almost 10 years. It’s something that Star Wars fans and racing fans alike can treasure, and the inclusion of online play always increases sales. This is a classic title that could do just as well today with some beefed up visuals and online play.